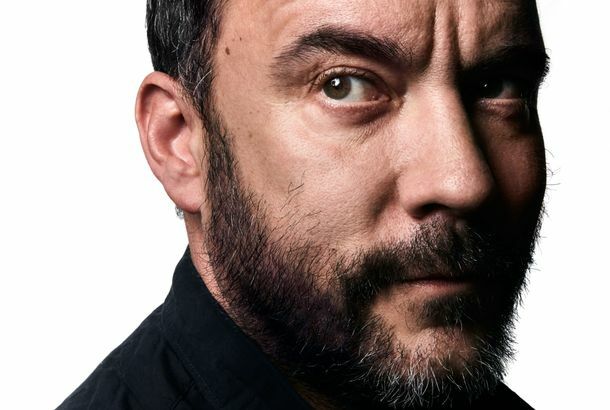 Dave Matthews Band’s Come Tomorrow Is a Quiet Moment in an Overstuffed YearIt’s all solid backyard cookout music and comforting headphone music. Jessica Chastain Is Like Lady Bird in Three WaysTwo you will guess, and one you certainly will not. Lady Bird, Dave Matthews Band, and Adolescent Imaginings of AdulthoodWhy “Crash Into Me” is the perfect theme song for Lady Bird. Last Night on Late Night: What Makes Zachary Quinto Exude Serial Killer?Plus: Stephen Colbert has beef with Sir Ian McKellen, GayLord of the Rings, and more, on our daily late-night roundup. Dave Matthews Band Is More Popular Than Bob DylanOn the charts, at least. Industry Roundup: Reeves, Bernal, LunaPlus: DMB to tour this fall before 2011 hiatus. SNL Announces November Hosts January Jones and Joseph Gordon-LevittAnd John Edwards’ favorite band is coming back to the show. Which Songs Would Dave Matthews Play at John Edwards and Rielle Hunter’s Wedding?We were struck by Edwards’s selection of an artist so well known for his frankly sexual lyrics. Dave Matthews Band Muscles UpBut is “Funny the Way It Is” another “Crash Into Me”?